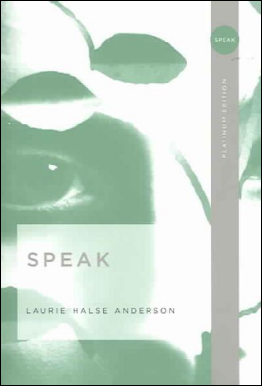 Speak, written by Laurie Halse Anderson, tells the story of a young girl named Melinda, who enters her first year of high school as an outcast. A month earlier at a summer party Melinda and her friends crashed, something traumatic happens to Melinda, and she calls the police. Now seen as the girl who ruined an innocent night of fun, Melinda has lost her best friends, her happiness, and she is left without a fresh start. Throughout the novel, Melinda struggles with her isolation and depression. She has a friend, a new girl named Heather, who uses Melinda as simple means of companionship the same way Melinda uses her. But even this relationship spirals into disaster. Melinda doesn't participate in class. She skips school. She deals with a strained relationship with her parents. She is alone and silent in her suffering, and she doesn't know how to speak out. Overall, Anderson does an incredible job setting the tone for this novel. Melinda's journal-like narrative is darkly humorous in a sarcastic, contemporary way, and yet still heartbreakingly tragic. 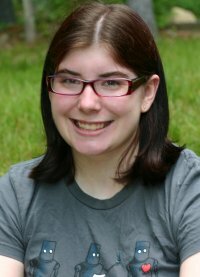 Melinda's journey through coping with her trauma is a complicated reflection of a young girl lost in her misery. However, while Speak is an incredibly moving novel, it is not something you would pick up for an easy afternoon read. The book is definitely written with an educational message in mind, so I wouldn't recommend to someone looking to read something "for fun". The ending is also rather abrupt and pulls the reader away from the realism of the novel for the sake of the overall message. If you're looking for something a little dark but very moving, I would recommend Speak. I give Speak 3 out of 5 stars.